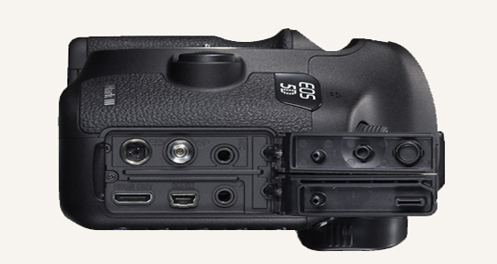 Since we spoke last time about the resolution, the used sensor, the viewfinder and the weight of the camera we are hopefully about to buy, we will discuss more specific parts this time, like the manual control, the connections or input/output. Like always I will try to keep it short as possible but still interesting. At this point I’ve decided to split this up in a 3-part-series, which will make it easier not only for you but also for me. The job of your DSLR camera is to accurately measure the scene you are filming and produce a picture that accurately reflects it. Your job as a cinematographer is to analyze the scene, analyze what the camera gives you, and make modifications as necessary. With manual controls you are now able to find the excact settings to create the outcome you want. We have to control shutter speed, aperture or ISO to adapt to the situation. Why am I telling you this you may ask? Richard Kiefer ( you can find him on his website and blog or at Twitter ,if you are interested in more of his opinions ) gave me a good hint in one of the comments (which you can check here for exact words) of my last blogpost. 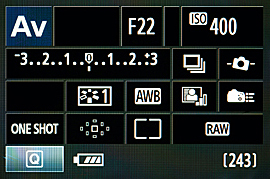 The fact is: Not every “modern” DSLR supports manual controls in video mode even if you might think so. Even though it’s more an exception and you still should inform about the camera you are about to buy. As we are going forth we will look at the outside and hardware of the DSLR again. At the top or in the front you mostly like to find your integrated camera microphone. Some cameras just support mono, others stereo, but in the end it won’t matter for us since the quality of the inbuilt microphones is just no rival to external sound recording. Even if you are using your inbuilt microphone, like on a spontaneous trip, it won’t make such a big difference between mono or stereo. 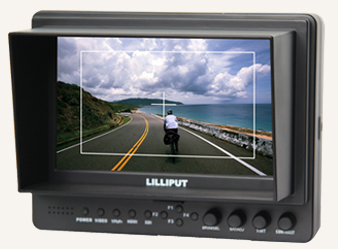 At the side of most of the modern cameras you can find the Input and Output slots for your audio or video. Beside them there are USB and HDMI for example. Of course this will be different to each camera you choose. You should beware of the fact that most of the lower-budget cameras don’t suppor audio/sound monitoring because of a missing headphone slot. As we are going deeper in the world of shooting film and handling the gear, we will see that this isn’t that necessary. We will have an external recorder with an own microphone (XLR connections) and own headphones, but we will come to that much later. Since I brought the argument for not really caring about inbuilt sound equipment, I still have to say something about the recording of audio. If you are shooting just with an external microphone put on our camera (what we will do in the very beginning) your audio will be regulated by the “Automatic Gain Control” (AGC henceforth) of the camera. AGC isn’t a really bad thing and in modern cameras it has a pretty good outcome. But in the end effect it will regulate your heights down and your downs up, and what will you get out? Right – A pretty flat sound mix. But you are not lost to bad audio. Gladly there are some great tips and programs out there, with which you can disable the AGC if you want to. For beginners it isn’t the worst choice to trust into the AGC, just to concentrate better on other things. Another big deal for us will be the way we will control our image. 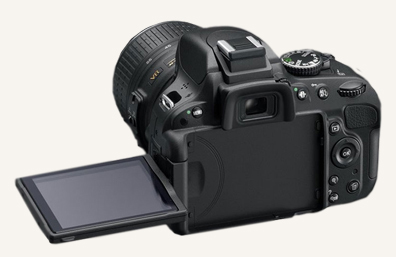 Nearly every DSLR got a LCD screen nowdays, so it won’t be a big deal to watch what we are doing. In part one if this series we talked about the inbuilt viewfinder, which we won’t use that often. What is more important, is the question: Do we want a turnable LCD screen? In my eyes it’s definitely “yes”. Even if I plan to do a lot with an external monitor, I know I will be happy about every time I don’t shoot with the external monitor and have to bob my head down to see what I am filming. Maybe that could be the right choice for you too. Where I am less sure about is the touchscreen which a lot of cameras got now. It’s some time ago now, as I had the chance to try one of them, even though I can’t remember the camera, and it was pretty hard to get forward at all. Nonetheless I’ve heard good reviews about modern touchscreens, which are easy to handle and pretty similar to smartphone screens. I won’t give you a direct suggestion at this point. This is something I will be able to report about when I get the chance to try out a few different screens. Now, as we talked so much about external monitoring beside, I have to loose some words about this particular topic too. It was hard to inform about that, because it is different from camera to camera, but I’ve heard that there are some issues with the external monitoring through HDMI ( if you don’t use the AV output or already another monitor ). The fact is that on some cameras monitoring through HDMI will disable your live-view on the LCD screen and in some cases to AV output too. In other cases it happens that the recorded solution of 1080p won’t be transmitted completely, so you have 720p or less (480p). So be aware of that if you are interested in this, ask a competent person at the market where you are about to buy your camera, try to find out through the support of amazon for example or get in contact with the producer. Well, we already reached the end of this part, wasn’t that bad, or? In the third part of this series we will talk about the batteries and how it can save you some money by knowing which batteries you got in your camera. Also we will discuss the different types of memory cards for your camera and how it could influence your purchase. Furthermore we will take a close look to some software and their compatibility to some cameras. I hope you enjoyed reading this post as much as I enjoyed it writing it for you guys. I just wanted to give you a big “Thanks“, because you already gave me such a big support which I’ve had never expected. Feel free to share this project with your friends, family or colleagues if you liked it so far. Leave me your thoughts, your inspirations and your ideas if you feel so. Also don’t forget to follow “Get Film Started” on Twitter, Facebook or Google+ to stay tuned for the latest news and blogposts. Just to say in the in the beginning: The pictured cameras aren’t related directly to this post. Well, in the last blogpost we talked about how important a camera is to a becoming filmmaker. Today we will talk about the right one for me and maybe also for you, if you are on a small budget. You will get an insight of what my preferences and their benefits are. On this point I want to make clear, that this blogpost will be a lot longer to read, even if I always try to keep it as short as possible. Also because of that I will split this post into two, to make it easier to read for you. Choosing the right camera can be easy if you got some pre-information, some friends with experiences or if you had a camera before. If that isn’t the case you have to do some (a lot of) research to find out which camera fits to you, also because you don’t want to spend money on something you don’t need. Like always, the question comes up here too: “What do we really need?” But from where should we know what we really need, if we don’t know which configurations different cameras offer. Hm, so let’s start with the easiest requirement. We want to shoot in the highest resolution available to us. For the ones of us, who are on a no- or a really low-budget, 4k isn’t affordable. Which leaves us only Full-HD with 1920×1080. Like you can guess that isn’t really a problem since nearly every modern DSLR got a full HD video mode. But the “Full-HD” sign on the package doesn’t mean that you will get the same outcome with every camera, even though you don’t have to worry that it will be absolutely miserable. The most different styles you will acquire with different lenses, but we will discuss lenses later and at full length. In this point we will find no big differences between modern cameras, unless it’s going up to 4k. The next big point in our analysis could be the sensor. I won’t explain the function of the sensor in detail, but I will try to explain you the general aspects. If you are interested in knowing more about the exact function of sensors I can advise this article by Matt Golowczyncski at “What Digital Camera” in 2010. Four year’s old, but still pretty actual. It could be helpful for you to read it to understand the following things, if you are completely new to this area. In the optimally case we will get our fingers on a Full-Frame Camera. Since they are in the higher price segment it is nearly unaffordable for the no-/low-budget user. Even though, in my opinion (Which could maybe change in the near future with more knowledge and more experience) the goal should be a Full-Frame camera. The greatest benefits of a Full-Frame sensor is that there is no crop factor to the lenses you use and definitely a larger area which can be hit by incoming light, which means you will get better results in low-light. The other type of sensor which will be in our focus will be the APS-C Sensor, with an average crop-factor of 1,5 to 1,7. That is no huge handicap, but you will have to work with it and always know that you have to calculate it to your lens focal length. This will be the sensor which will cross our way most in our budget segment. We also might find some Third-Four sensors in some smaller DSLR’s or compact cameras (Even though I think I didn’t meant compact cameras), but I think we will focus on the APS-C sensors most. Another point which could be interesting for you could be the size of the optical viewfinder. Where some cameras just show 80% of the real picture you try to capture, there are cameras out there which get 100%. The question is if we should put interest in that since we want to shoot film with the camera. Personally I think: no. We won’t use the viewfinder a lot, since there is a monitor on nearly every modern DSLR. And if that isn’t enough for you, you just could by an external viewfinder or an external monitor to control your image better. What about the weight of you camera? Of course you want to stay flexible and mobile, but most DSLR’s out there will have a pretty similar weight. If you prefer one which is a little lighter or heavier is up to you, but there is not that much difference. For me, other aspects are more important and this won’t influence my purchase, also because we will use a lot of stabilizers like Tripods/Monopods or sliders too, which will not be affected by the weight. If you are more into run-and-gun shooting or traveling a lot with your gear handheld a lighter camera will be a blessing. So, like you can see it is not easy to choose the right camera for you right away. Also everybody got other preferences on their camera, but this is my mind. On the one side different cameras in different types and by different brands, stand tight together in function and ability at this budget, but on the other side we found out what are the things we might look at on our purchase. For me it’s definitely a Full-HD DSLR, with an ASP-C sensor in it. Also the amount available lenses should be not small. I don’t care about the viewfinder and if it’s light it would be an extra. (That can also be negative if you got heavy lenses). When we analyze these results we see that there are a lot of different cameras on the market which fulfill all these aspects, especially by the brand Nikon, Sony, Pentax or Canon. At this point it is up to you which brand you prefer most. For me it is definitely Canon and I can’t even say you the reason *laughs*. Maybe I’ve been affected by other cinematographers whom I have seen and liked. Most I like their appearance and their perfect fit to my hand, what makes them so interesting to me. Of course there are a lot more characteristic which I didn’t mentioned, but for the beginning it should give you a good overview for what to look for. In the next part of this camera-choosing-series we will compare three direct rival Canon cameras against each other, in the price range from round about 400 – 700€ ( 550 – 950$ )…or less – get ready to be surprised. Stay tuned for the second part of this series, which hopefully will be released in the next two or three days. Like always: Don’t forget to follow us on Twitter, Facebook or Google+. If you like this project, feel free to tell your friends about it. This will help to keep the work up. You know of course that I will be glad and thankful to read your thoughts and own experiences on this. Thank you a lot for reading. Well, here we are again…again with thoughts. But without them this whole project would be just headless I guess. So, what can you expect of this post? It gives you a first introduction and insight for what is needed in the following steps of the project. Taking the right steps after another will make our lives much simpler and will save us a lot of money. Or so I hope. So, what is the most important thing a becoming filmmaker needs? That’s easy to answer: A camera of course and the skill to use it. But for the beginning we will leave the skill out and just focus on the camera. But which is the right one for me? Maybe just a small camcorder everybody can afford? Or maybe investing more money and get a professional camcorder? And what’s about a modern HDSLR? The easiest way to answer this is to look at what we need and what we want to do – like always. For me it’s important to be mobile and flexible. Also there should be the best picture quality for the amount of money I spent. I want to absolve as much different task as I can with the same device. With some simple looks at the internet I can see that the small camcorder can’t meet this profile I search. So there remain the professional camcorder and the DSLR. Again a fast look, this time in my wallet and I see there is only the DSLR left (for me). Of course there are a lot of different DSLRs out there, from cheap to expensive. But do you really need the best DSLR out there as a beginner? To this question I want to recite an old friend of mine: “A talented filmmaker can produce a good film even on a bad camera, but there is no way to get a great piece of work by someone unskilled even with a good camera.” Maybe you should choose a camera which fits for your ambitions. But I am drifting away. What gives another pro to the DSLR is the mobility and flexibility I want. It is light, fits into a small camera bag or can just hang on your shoulder, so you can take it nearly anywhere. The other point, the flexibility, is given by the huge amount of lenses out there. You can always put on the right lens to get the look you want. Whether zoom-lenses, macro-lenses or portrait-lenses, you get the choice of realizing the images right out of your head – and that just with one piece of gear ( except of the lenses ). The image quality you get out of this are based on the technology of photography, even if you can’t expect from your picture to be as good as a photo taken by a DSLR. Negatively could be, that quality lenses got their price. At this point we will be happy that we saved some money on the camera. Better spend your money on good glasses; you will keep them, because they will fit on your future cameras too, except you change your camera producer. Also you got the possibility to sell them again for a good price, due to the fact that prices for lenses stay pretty stable. All this is just my view on the things. If you got other ambitions or other requirements you can choose the right camera for yourself. Like said in the beginning, a camera is the essential tool for a filmmaker. Of course there are much and more other things which are important and necessary, like sound, light and other gear. Of those we will speak a lot in the future of this blog. Next time we will go deeper into the choice of the camera, taking some into focus and compare them against each other. Anyway, I would love to read your thoughts about this and hear about your own experiences. Don’t forget to follow my blog or stay tuned on Twitter, Facebook, or Google+. I just wanted to let you know that I’ve updated my “About Me” page, to let you see who is the guy behind this whole thing. Give it a glance if you want to know who is behind the screen. So – pretty personal *winks*. Think I will give you a further impression of the project and how we will go on tomorrow. Hope you will come by to give it a look. So , stay tuned, don’t forget to follow me on Facebook, Twitter, Google+ and see you tomorrow. Thoughts…a thing everybody should spend on the things he does. Well, just to tie in with the previous post, that I are not that unprepared as it seems. Of course I got something in mind before I started this blog and all what is around. If I could I would start just right now, but I think that I, or let me say “us” already, first have to spend some thoughts about what we want to do. What do you want to achieve? What is your goal? Which are the conditions you start off? – Do you have a lot of money you can spend right off the bat or do you have to improvise? Do you have friends or family who are in film or producing? A lot of questions, true, but I didn’t even asked all. In the following I hope I can give you a short introduction in my thoughts and help you to make your own. When I am honest, I can’t even answer the first question. What do I want to achieve? Do I want to become a professional filmmaker? I don’t think so, even I wish though. I am just starting into my career after my studies, so I think this won’t be more than a hobby to me. Also there are sooo many talented and remarkable guys out there, so I can’t even imagine measuring myself with them, with this lack of experience and gear of mine. So I want to keep it realistic, but that’s my opinion and shall not come across yours. Maybe I should get a less high goal than that. What about producing a professional looking short film? Couldn’t that be a goal I can keep in mind for the next few years? I think so! Of course we will go step by step and always get new goals for each stage, but I think it could be helpful to remind a “greater” goal in your mind. Also you could ask yourself where the idea of getting into film or producing came from. This may help you what fascinates and what you want to achieve. For me this is pretty easy to answer. Back in school I got the chance to lead a short film as a director/producer. As you can imagine, the result were a disaster, but not as bad as we had thought. Since then there is the idea inside of me to do the same thing again and again, only better. A lot of work, but also a lot of fun. About my conditions I start off, yes. Like I said before, there is no experience or gear I own. Not even a camcorder or DSLR, which you eventually already own. As a student I have to work beside my studies to have money I can spend free. What will help me most I guess is that I got some friends who would like to support me in my project. Especially my roommate sounded pretty convincing. But the fact is: The most important people I want to share my results and experiences with are you guys. Getting help, inspirations and critic by other people will make it easier and even exciting, even though I know it will be hard for me, because I often want to have the things completely in my hands. Everybody has a different character and a different style to handle the things, so you have to find what is the right way for you. So, that is all for the start. I would love to read your comments, your ideas…your thoughts. I’m not 100% what we will do in the next post. Maybe we start with the gear, we will see. Don’t forget to follow me on Facebook, Twitter, Google+ or my soon upcoming homepage if you want to stay tuned. Hey there and welcome to “Get Film Started”. You may ask what this suspicious looking blog might be about. Good that you got me, who will tell you. “Get film started” will be a project, where i go out with no experience and without any kind of gear. The goal is to learn much as i can in shooting film, handling the equiment and automize the techniques. So, why should anybody do this you ask? Because I want to and I hope you will like it. But more important is the question: “Why should that be any concern of me and why the f*@k am I still reading this post?” Hopefully you are still reading it, because i catched your attention and to the other question – because I think we can learn from each other. All I will learn and are about to experience will be shared with you.I would love to read your meanings in the recomended post, your critic, your innovations and your inspirations. So, what can you excpect from this blog in the near future? Well, im pretty eager to get right into it, but film-equipment is a expensive thing. It will get me a while to get all these bunch of stuff I want to have ( or I do need 😉 ), so we will go step to step. I will prepare a lot and hope you guys will make me the choice between different gear a lot easier, or maybe I can give help to the other beginners too. There will be a lot of reviews, comparisons and highlights in this blog in the beginning. So lets just start right now and if you got questions about this, just ask. Think there should be time enough to answer all of your questions *laughs*. If you want to know more about me, check the “About Me” panel. Follow me on Facebook, Twitter, Google+ or my soon upcoming Homepage if you want to stay tuned. You could be the first!